The True Gossip Home / NICK JONAS LOVES HIS BURGER KING! 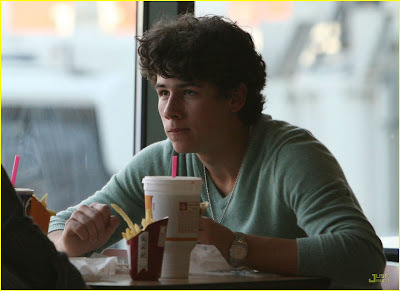 NICK JONAS LOVES HIS BURGER KING! Nick Jonas and his daddy, Kevin Jonas, were having some Burger King at the Nashville International Airport April 28. Nick is in the area to help Jordan Pruitt on her upcoming album. Nick will also be appearing on The Doctors on May 1. Be sure to watch!